I was seventeen when I first took off. The world is a vast and beautiful place; I was a teenager trying to figure out who I was. The travel helped. The places I went, and the people I would meet informed the decisions of a smooth-faced white American kid far from home. As a gawky teenager in rust-belt Begium, my friend’s mother took me in as one of her own, lectured me about the benefits of eating organic, and tolerated my vegetarianism even as she occasionally snuck rabbit into the stews she’d feed me. Orientation week of college, I asked the German teacher how soon I would be able to leave on an abroad program. Of those four years, I spent nine months abroad. I learned my second foreign language, but the most powerful experiences were the personal connections. I shared songs with a street musician on the floor of the Zoobanhof in Berlin, and kept the five-mark piece he gave me as a sacred treasure: “your music is good for my heart,” he told me. He was blitzed, but I think he meant it. I played pennywhistle in the square in Luxembourg one night until people came to talk to me, then we went to dinner together. I crossed Gibraltar to see the tiniest bit Africa for the first time. One summer I washed dishes in a restaurant, playing guitar in the back garden for the customers on my breaks. The owner took me in like a son. Her own son was overwhelmed by life that year, and left us one evening after a nasty fight with his girlfriend. She asked me to play at the funeral: “He loved your music so,” she said. And so we have come to see each other every several years when I’m in town. Listening. That’s the reason I travel. In April of 2003, shortly after Rachel Corrie lost her life, I sketched out a plan to go to Iraq. My hope was to sit with Iraquis, listen to their stories, learn Arabic, and help carry water and find food for families most in need. 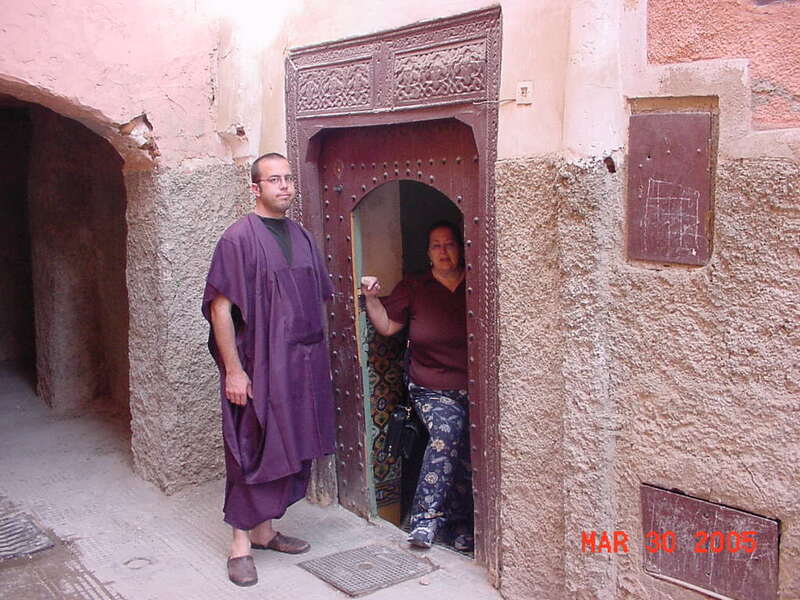 Instead, I ended up managing a Nordic cultural center in Marrakech, taking Arabic lessons every day, and helping Swedish guests find their way to cultural events in the city. It’s brought me friends, some of whom I’ll have for life, even if I forget the languages that we share. The years in Japan and the travel in Southeast Asia, sleeping in the slum in Bangkok with the rats, the return to central Europe and the weeks of Polish lessons, all of that brought with it kind, dear people. And it brought a desite to go deeper, closer to the ground, farther from the economic privilege that keeps the first world inured from the dollar-a-day crowd, the more than half of the world that can’t even see the poverty line from where they are. Barbara Guillaume is a protest singer who was beaten, imprisoned, then exiled from her naitive Haiti in the 1980’s; I found her by dumb luck one afternoon and was taken into her home for a week where we all played music together, and I interviewed her as a hurricane killed hundreds of villagers on the other side of Kenscoff Hill. I keep swearing I’ll finish editing the footage, but my fledgling video skills slow the process. 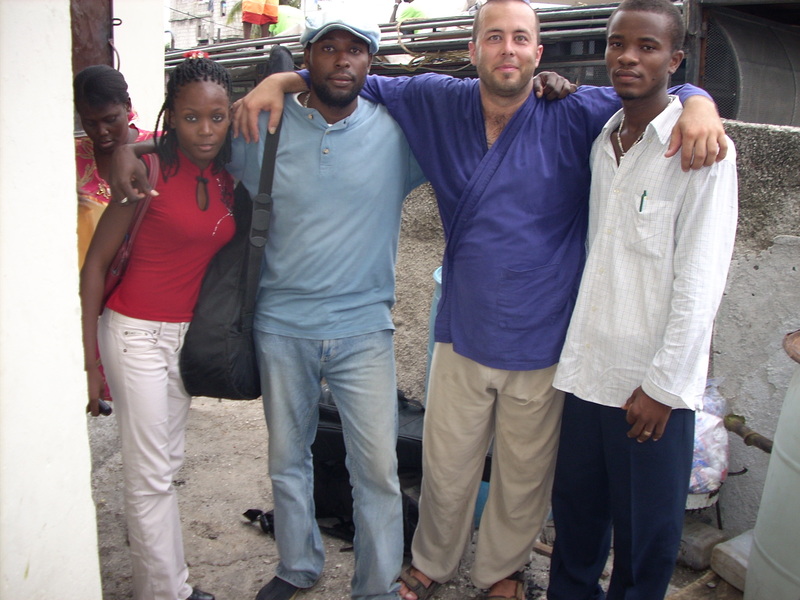 Before leaving for Haiti, I’d already re-constructed a plan: Bring the first world and the third world together through music: “Music is the us, there is no them.” I would record music and post it for the world to see, record CDs and DVDs and have concerts which were events, not just shows. Where people could experience some small shred of red dirt in your toenails and the smell of subsistence markets and fresh spices. Of the places I’ve been, the most powerful have been the poorest: the villages where a family will give your their home, the older brother will give you his bed and the clothes off his back even though you know and they know that you have more money in your bank account than they will see in a lifetime. I hitched through the Sahara and shared boiled goat head with a Mauritanian car salesman, shared a floor with a family in Bamako, and hopped a freight train to Senegal with two street kids who laughed at my timidity. The answer doesn’t start with money. The answer starts with understanding. For years, one book has most informed my understanding of global politics: Mehdi Almandjara’s Humiliocrity. In it, he makes the case that the United States controls the developing world economically, millitarily, culturally, and that on top of that, we are ignorant of the countries on which we exert so much influence. I travel to be a better listener. Why do you travel? What makes a trip for you? Where do you most want to go, and why?